An Outlook project management add-in is just one example of how time tracking software can improve your workplace on a variety of levels. Time tracking software isn’t a particularly new concept, but it is something that evolves at a pretty steady rate. The current range of time tracking software products offer a dizzying range of features, straightforward usability, and the ability to work with software that can handle the complex demands of your day-to-day operations. However, not all time tracking software products are alike. It’s important to work with a software solution with features that make sense for your company. For example, when it comes to something like a project management add-in for Outlook, there are several things to that you will need to look for. These are needs that your time tracking software should be able to address with ease. Despite the perception from some that time tracking software is solely designed to control employees on every possible level, more and more companies are beginning to appreciate the benefits of such software. It is important to understand that the benefits to employers do not include the ability to control employee behavior. It is equally important to understand that these aren’t just benefits for the employer. These improvements benefit everyone in the company. This is because time tracking software is about optimizing efficiency. It’s about giving your employees more responsibility, and ultimately, more control over setting and achieving goals within the company. We’re not talking about increasing the employer’s measures for control. With time tracking software, what we’re talking about is improving the stuff you already do. A good example of this thought involves an Outlook project management add-in. 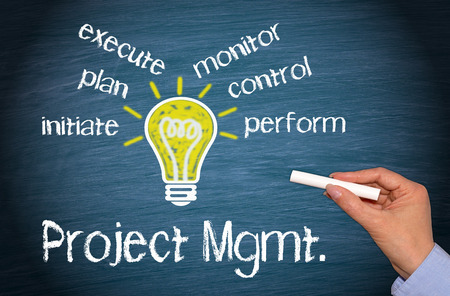 A project management add-in is also a good example of how easy it is to implement time tracking software into a company. Regardless of the size of your company, and regardless of the type of company you have, you and your team members can benefit from such enhancements. In the first place, a project management add-in should allow you to utilize Outlook. You shouldn’t have to leave Outlook in order to work with the various elements of project management. With the right add-in, you won’t have to. A simple tool can allow you to efficiently and seamlessly integrate Outlook with other aspects of your business. For example, your employees can use an add-in for Outlook to view their projects. Everyone can figure out where they stand in the present, and anything that might be coming in the near future. As needed, everyone in your company can also use the add-on to update their status, give notes on progress, and more. One of the biggest benefits to time tracking software involves collaboration. With an add-in for something like project management within Outlook, this can be in the form of being able to use your Outlook calendar appointments, instead of having to enter a separate system to see what people are doing and how the projects are progressing. Furthermore, when updates are made to things like contacts or calendars, everyone can get the update at the same time. Collaboration can also come in the form of being able to manage all of your projects and activities from a single place. When you need to update what you’ve accomplished on a project or activity, you can use the add-in to do this seamlessly with the relevant project or activity. You can also be sure the information is going to get to the right people. Time tracking software isn’t about taking power or freedom away from your employees. With enhanced measures for communication and collaboration, you should begin to see improvements in efficiency, workflow and progress. The tools and features of an intuitive project tracking solution, will keep track of your projects, keep you on track, will make teamwork and team collaboration more productive and simplify processes, so that you can more easily reach any milestone. All this from one place. Everything is going to be synchronized in real time, which means that when changes are made to a project or task, the information managed by your software will make the appropriate changes. No need to let everyone know. The software and project management add-in ensures everyone will be made aware as the changes actually occur. The ability to directly see how employees are doing and how your projects are moving forward is essential. The right solution will be able to provide you with this information with ease, and at the same time frees up resources for your employees. This is yet another measure that increases the efficiency of your business on a day to day basis. Your employees become happier, and by extension, more efficient.